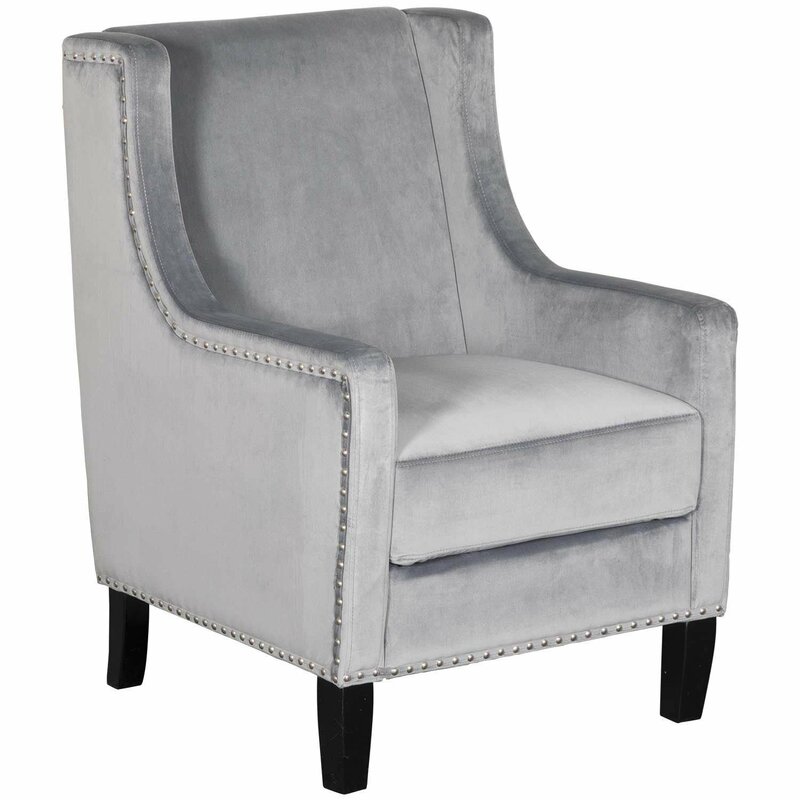 Create a chic, streamlined look with a touch of glam with the Claire Grey Accent Chair by Cambridge Home. 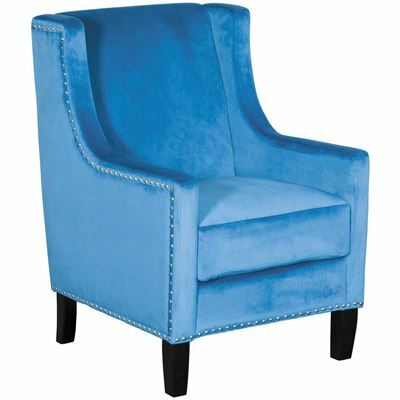 This chair takes a traditional wing chair silhouette and updates it with clean lines, sloped track arms, and chrome nail head trim. 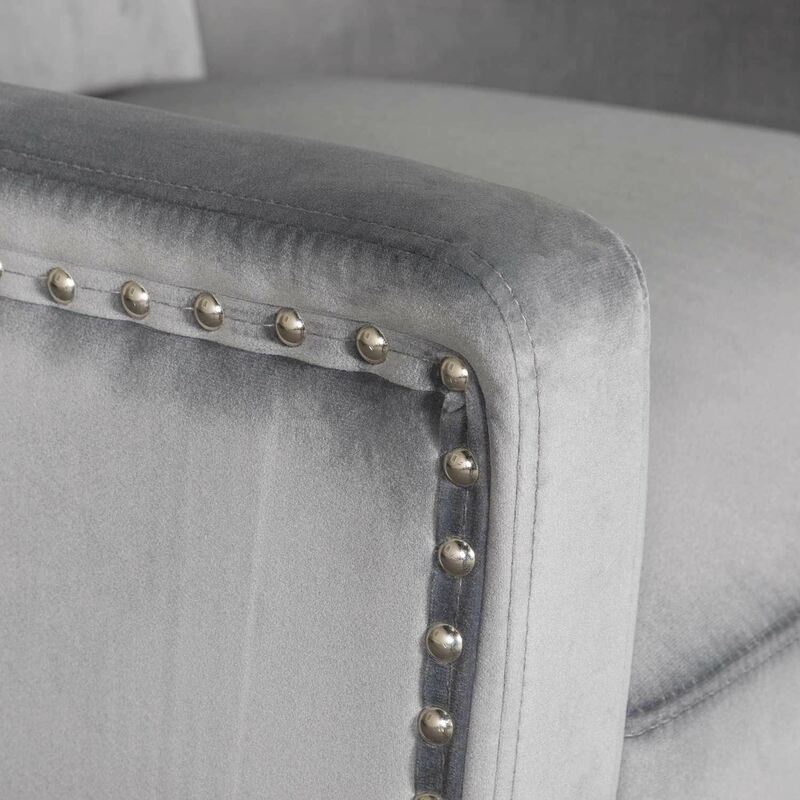 The grey velvet upholstery adds a hint of luxe to complete the look. 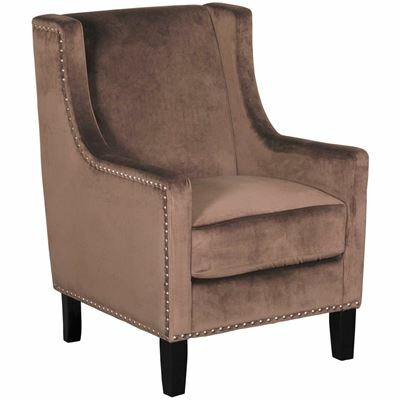 Create a chic, streamlined look with a touch of glam with the Claire Grey Accent Chair by Cambridge Home. 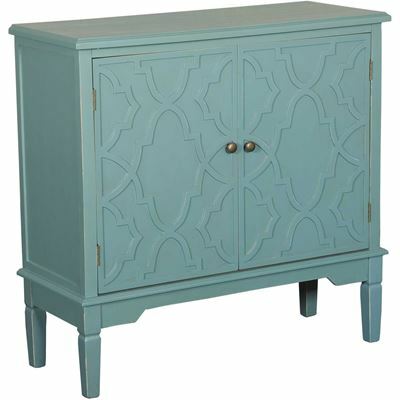 Claire Grey Accent Chair from Cambridge Home. 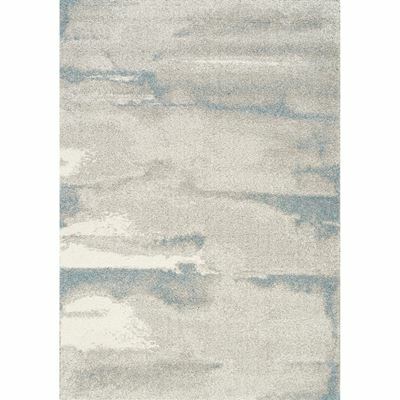 Covered in a grey velvet fabric.